These are so much more than just peanut butter balls, but I just thought that peanut butter, coconut, date, chia, quinoa and cacao didn’t have the same ring to it? 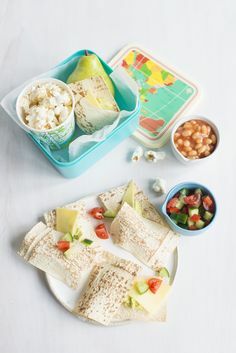 They really are packed full of the good stuff, and make for a healthy little treat that you can feel good about. Harry is still learning how to talk, but it has been interesting with him screaming for ‘pee but balls! !’ at the top of his lungs. Store them in the fridge or freeze separately to enjoy when you need them. Nutrition Note: Peanut Butter ‘Power’ Balls also has a nice ring to it – high in protein, carbohydrate, fibre and vitamin C all rolled into one. Plus the 100% cacoa gives these balls an antioxidant boost and a slight hint of the lovely bitterness of chocolate (but without the added sugar from chocolate). Recipe update: if you find the mixture too dry you can add more peanut butter, pure maple syrup or a squeeze of honey depending on the age. I don’t know if these would make it onto the tray of my daughters highchair…. I may have to eat them all! Also – the Woolworths Macro peanut butter has no additives or preservatives. Just made these, they are yummy! But I couldn’t get the mixture to stick into balls, so I made it into a slice! These are absolutely delicious and easy as pie to make. Thanks for the recipe, I’ll be making them again for sure. Yum! My 9 month old loves these but so does mummy! The first batch were gone in 2 days and I ate 90% of them, whoops. I had to add extra peanut butter to get them to stick into balls though. A bit of maple syrup and some extra peanut butter were needed to get then to stick. I also used brown puffed rice instead of rice bubbles. The batch disappeared in less than 24 hours! These were a hit with my little one! She was a bit reluctant to try them at first, but now they are her favourite treat. I added a tiny bit of honey for just a little extra sweetness and stickiness. I’d like to make them with quinoa, but I can’t find quinoa puffs. Any ideas where I should look? I had the same problem, I doubled the peanut butter, and added some fresh dates that I pitted myself, and still couldn’t make balls. I ended up adding still more peanut butter, dates, and some honey and butter, which finally worked, though they are a bit greasy. I’m thinking the quantity of coconut could be wrong? Or that the dates need to be hand pitted and not pre-pitted (drier) dates? These are delicious. I didn’t have any dates in the house the first time I made them so added prunes instead. Have since made them with dates, both just as yummy. Might try a mix of dates and prunes in the next batch. Also used puffed brown rice. So happy to have discovered your website. These are little ball of bliss! I had similar trouble with getting the balls to come together. Second time around, I soaked the pitted dates in boiling water for an hour or so before putting them into the food processor. The balls were much better vas I didn’t have to add extra peanut butter. My two boys love these and so have all their friends that I have introduced them to. I soak the dates in hot water for a few minutes before blitzing them which gives them extra moisture and stickiness. I also make them without the rice bubbles or puffed quinoa -(didn’t have any when I made them). I love the simplicity. Thanks for sharing! The only thing I would change is the quantity- MORE MORE MORE!!! Oh my word these are good! Ours stuck together fine, & holy moly they’re delicious… & so simple! While I’m at it with the feedback… I love your website & reckon you’ve made me a better Mum (in the food department anyway)! 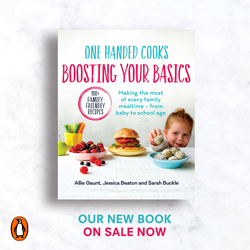 I was so daunted by the task of feeding my ‘fussy’, dairy intolerant daughter, & was so stuck for ideas, but your site started the ball rolling on my now determined & positive approach to preparing delicious & healthy family meals that we all can enjoy together. Thank you! Can’t wait to receive your mag in the post! Hi, I love your recipes and this one is a favorite in our household. Would love to know how many calories per ball? I didn’t have dates, but I did have pitted prunes. Also, I only had rice flakes, not bubbles. Still absolutely delish! Do you know how many calories per ball? I made these for my nearly 2 year old extremely picky eater. He wolfed them down and was asking for more, nearly unheard of! So relieved to find another recipe to add to my very short list of things E will eat. Thanks so much! Hmm, no cacao in the house what would be a good substitute?? I changed the quantities around a bit and softened the dates in a few tablespoons of boiling water. I also used rolled oats in place of rice bubbles. Made an excellent consistency for rolling into balls and the kids are big fans. I couldn’t find anything fitting the description of quinoa puffs, but found some rice and quinoa cheerio style cereal which worked well instead. I did find that I needed to use a LOT more peanut butter plus a bit of honey to get these to hold together, but wow they were delicious. Everyone in the family loves them, except the toddler I made them for. He doesn’t like the taste of peanut butter, I think, so I might have to try with another nut butter – will that work instead? Although quite crumbly we all loved these. More Peanut butter & some Maple Syrup were needed to bind the balls. My dates were so dry my food processor wasn’t even chopping them so I was pretty sure I was going to end up with the not-sticky-enough problem other people had. I treated my dates as I do for sticky date pudding- added 1/4 teaspoon of bicarb and 3tbsp of boiling water, then microwaved for 30 seconds. I did add a little extra coconut and rice bubbles at the end and rolled in coconut because they were sticky to touch – Maybe a spoon less of water? Anyway, they mixed up easily and are gobbled down very easily! Will definitely make these again. Hi. I’m in the UK, what are rice bubbles or quinoa puffs? 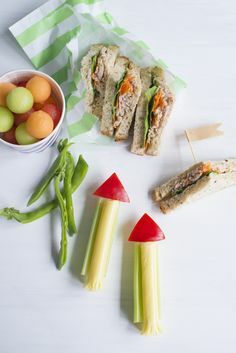 Really keen on making these for my 16 month old, they look yummy! Rice krispies? Basically puffed rice – crunchy texture. Brilliant, love these! Didn’t have rice or quinoa puffs, just added more coconut and chia. Also added maple syrup and some Tahini to make texture more moist and sticky. Hello, as per other comments I think these are just amazing. I can’t stop eating them. I am not sure whether this has been asked before, but is there any other variation without peanut butter? Not from an allergy point but my daughter doesn’t like peanut butter.